This sparkling new bed frame from julian bowen is made in a shiny chrome finish with chrome finish finials and collars and is available in double and king size. 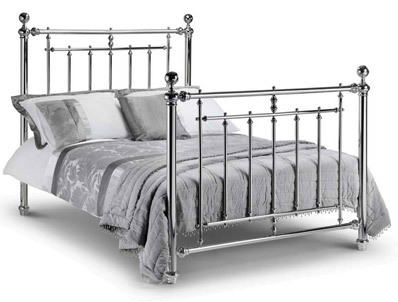 The Empress frame like all julian bowen bed frames is delivered flat packed for easy home delivery and self assembly. Delivery is free of charge to most postcode areas in 7-10 working days.